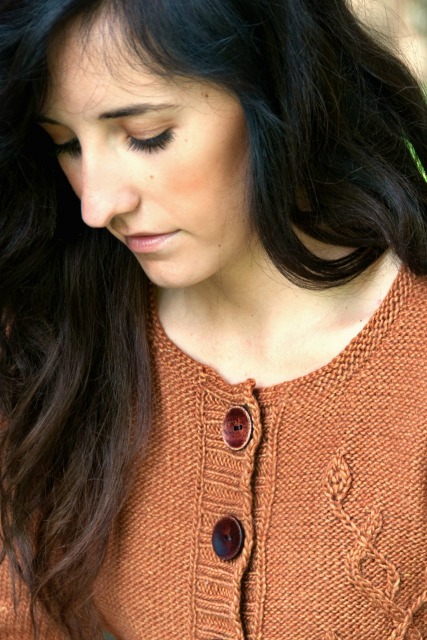 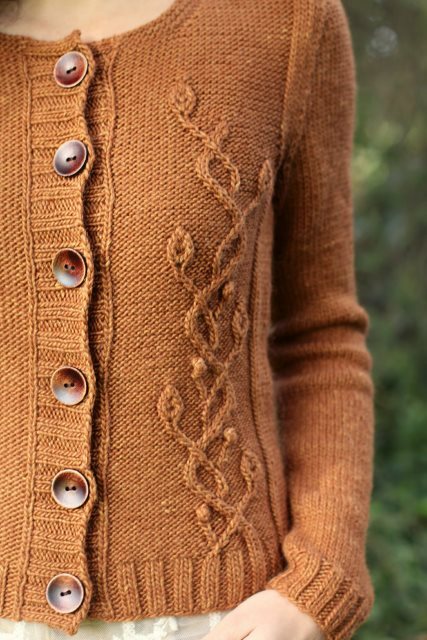 A flourishing vine climbs up the left front of this otherwise classic cardigan. 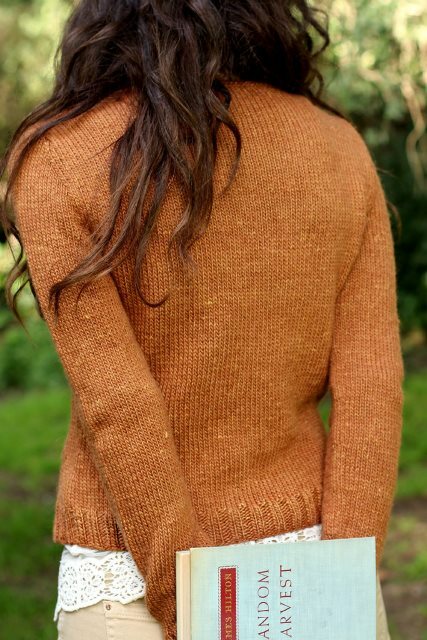 Watch the vine grow as you knit the sweater pieces from the bottom up and seam them together at the end. 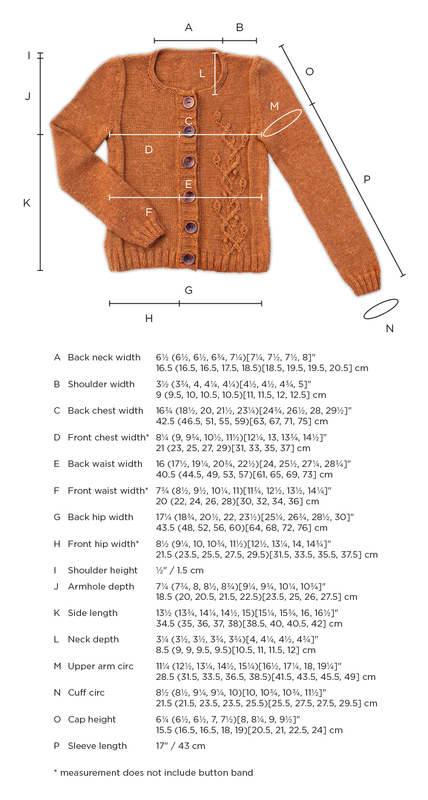 Shown in size 34�" / 88 cm; to be worn with 1�3" / 2.5�7.5 cm of positive ease. 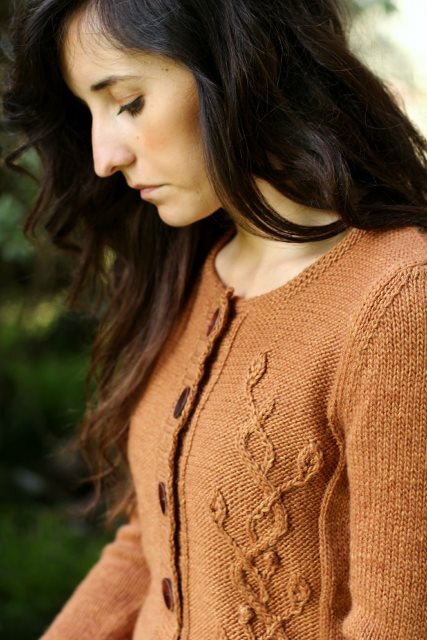 20 sts and 26 rows over 4" / 10 cm in St st on US7 / 4.5 mm needles or size needed for accurate gauge.